The General in the Garden is an exciting and significant book on the study of American garden history. The book was edited by Susan P. Schoelwer, Robert H. Smith Senior Curator at Mount Vernon and includes contributions from Dean Norton, Director of Horticulture, Esther White, Director of Historic Preservation and Adam Erby, Assistant Curator at Mount Vernon. 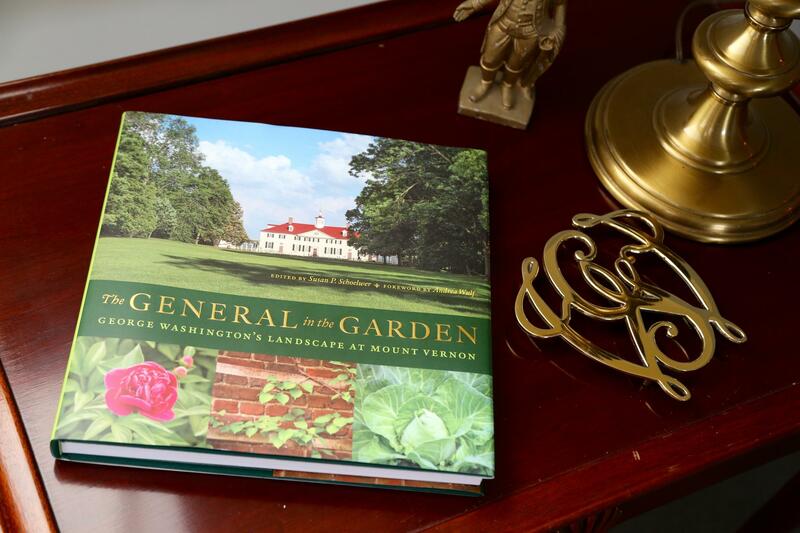 The book explores General Washington's influence over the gardens at Mount Vernon and the preservation of the landscapes by the Mount Vernon Ladies' Association which has been the caretaker since 1853. The General in the Garden is published by the University of Virginia Press and is available for purchase at the Shops at Mount Vernon. Mount Vernon sits down with Susan Schoelwer, Dean Norton, Esther White and Adam Erby, the authors of The General in the Garden to learn more about the history of garden preservation at Mount Vernon. Esther White, Director of Historic Preservation at Mount Vernon discusses how archeology plays a role in reconstructing the gardens at Mount Vernon. Bring a part of Mount Vernon to your garden. The Shops at Mount Vernon offers heirloom seeds from plants grown on the Estate.